I bought this Blazer about five years ago and it has been a non stop love/hate relationship. When I bought it it was lowered a bit but all stock and I am the second owner. Since the 80's I have wanted to swap a lt4 and six speed into a two door 2wd Blazer and it has cost me dearly. So here is my build up to date. The next week. 4.3 was very worn out with well over 300,000 miles on it. Engine number one. 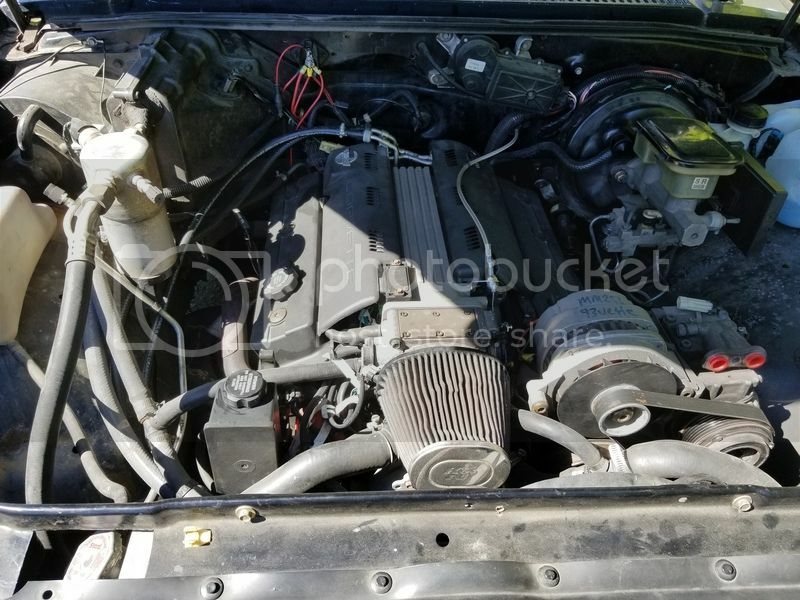 1993 LT1 Corvette engine week three into owning the Blazer. Did all this to find out the donor engine had a bent crank shaft from a very hard wreck. Engine number two. Decided to get rid of the auto and went with the Black label six speed and a LT4 engine. I blasted the intake to look like a LT1. Even more goodies on it this time around. 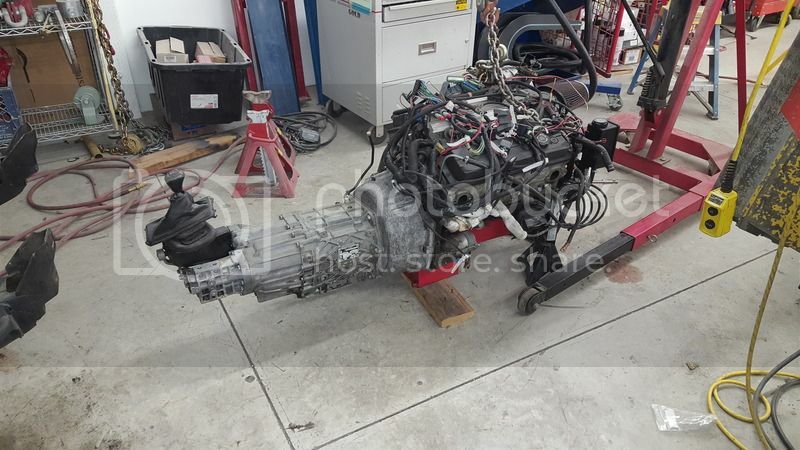 I bought this engine with (low miles) according to the seller to find out it had a rod about ready to go as soon as it started. 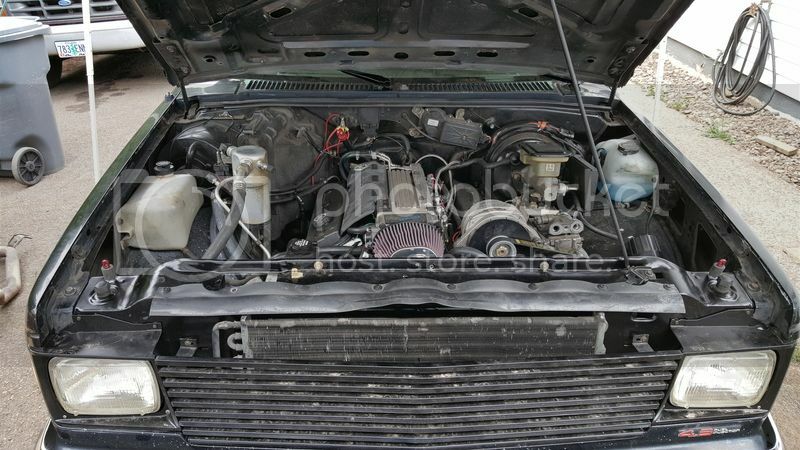 Engine number three.....I was able to drive it for about a month and the oil pump went out. Summit did give me a new one but upon tearing it down found it had blown head gaskets also. 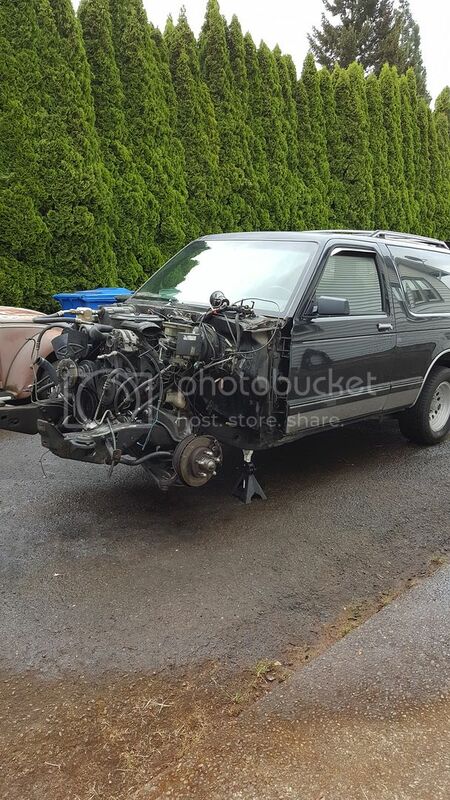 I bought this engine from a reputable wrecking yard, but there used engine warranty is only good for 30 days missed out. So it now sits in the shop torn down again. I was going to put a 5.3 with a turbo in it but have decided to build the LT4 instead. I have thought for the longest that this Blazer was cursed because in the five years that I have owned it I have only driven it for about six months combined. I am tearing the engine down and sending it off to the machine shop to be bored and stroked. (Should have done this the first time)Still looking into what parts I want to put in it and talking with a lot of LT series people about it. I am determined to have a LT series Blazer that I can race. I was and still am building it for road racing. Here is a picture of it the last time I drove it. It has 15 Silverado front brakes and narrowed 8.8 rear end with Calvert split mono leafs and Caltracs. Custom aluminum driveshaft to link it all together, There is a ton of other mods to it but not can't remember them all at the moment. My plans this time around are to body drop it and cage it. On the fence if I want to have interior or just full on race car it with the bare minimum for weight. I have road raced and hillclimbs for years with many different cars from my old Evo to formula cars. 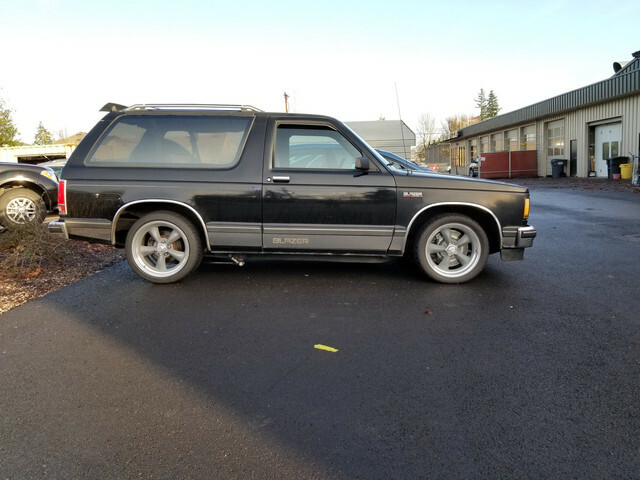 What sounds like a blast to me is a s10 Blazer keeping up with the evo's and STi's and all the other imports out on the track. An update. 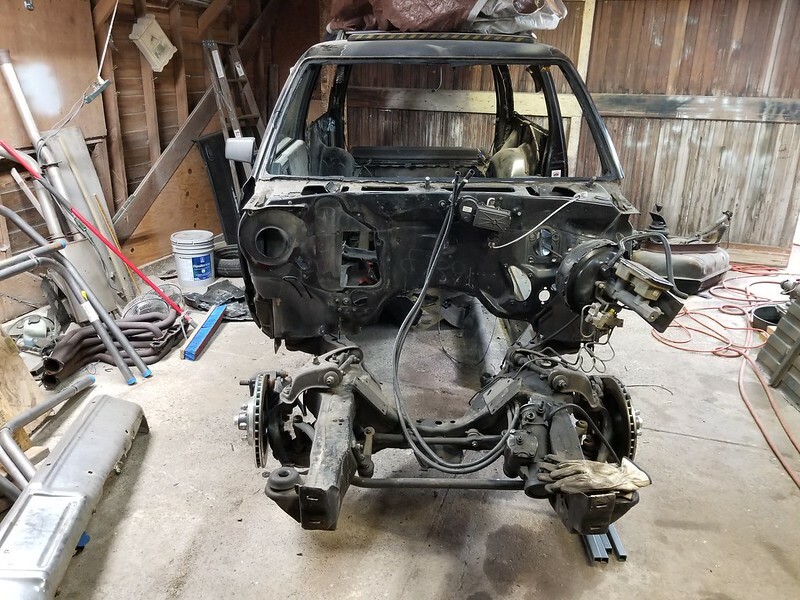 Blazer is all torn down and floor rough cut out of it. Just got my 10 point cage from S&W today and excited to get it installed but so much to be done first. 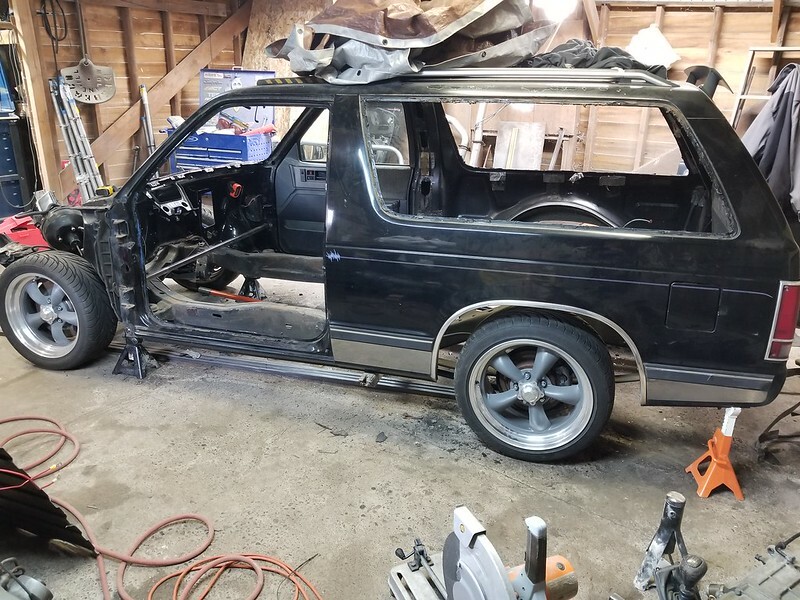 This weekend hoping to get the rest of the floor trimmed up and the body dropped about four inches but need to shore up the body first. Here is where it is at tonight. 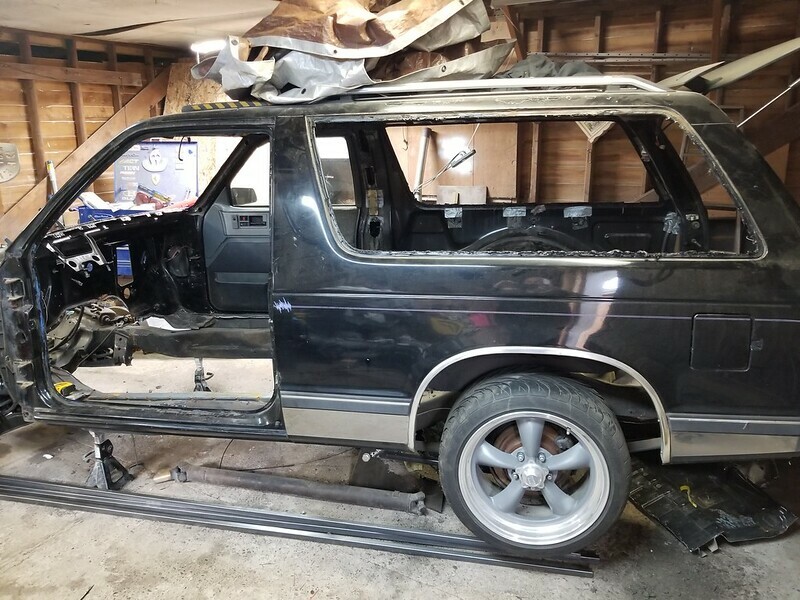 Helping my son with his Blazer also so work on the S10 is going slower than I planned. 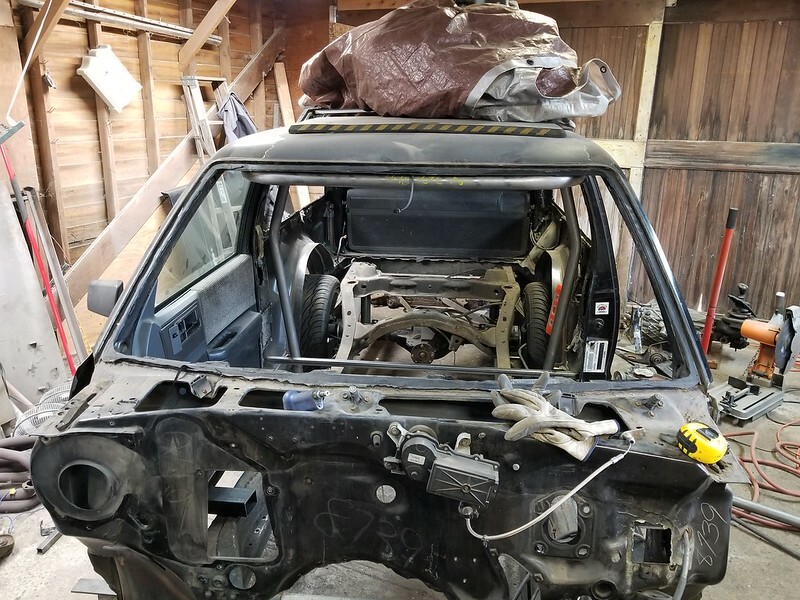 We are building him a 2wd K5 that is proving to be a ton more work than I had planned. Seems there is no interest here. Oh no, I'm interested! I saw the original and was psyched to see where it went. 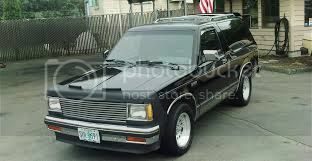 It's a sweet looking blazer, and a hillclimbing/road racing blazer is something super original! I'm also curious about the body dropping portion- I want to do a bagged and body dropped 2nd gen someday, so I'd like to watch the process. also, howd you do the brake swap from the silverado? I'm interested as well, just haven't commented yet. I'm looking forward to seeing the cage in her. I've tossed the idea in the air, not sure if I'd go inside or outside tho. Still have some trimming to do on whats left of the floor but coming along nicely. 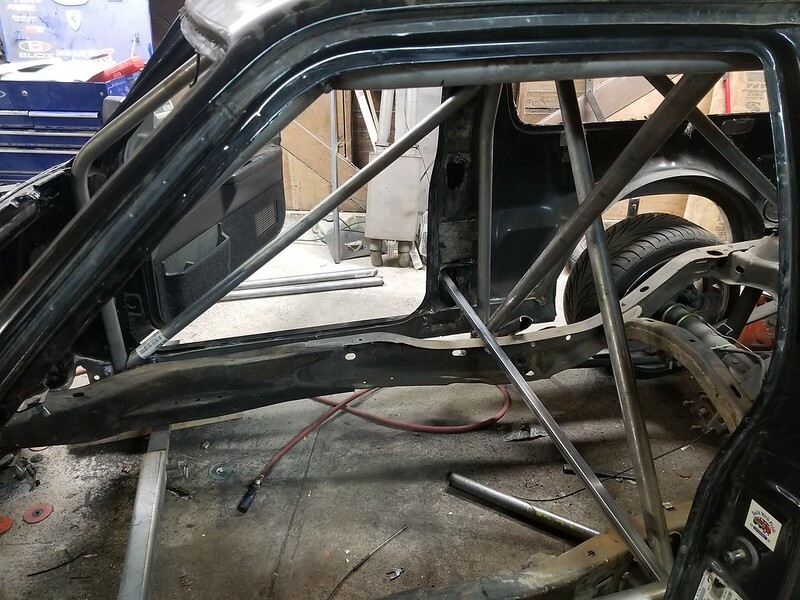 I have the body sitting where it needs to be and tomorrow making some new body mounts then figure out seat placement and start on the cage. Finally have the body where I like it. Ready to start making body mounts. 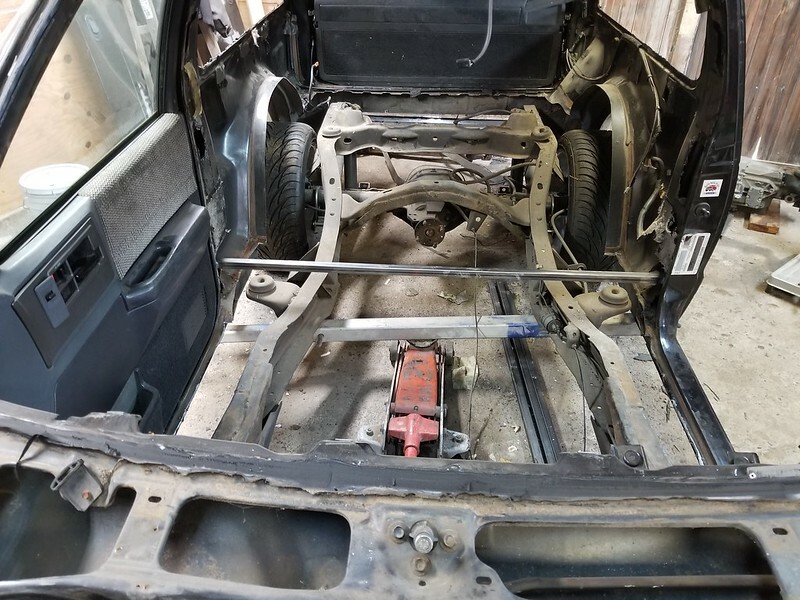 Got the rest of the floor in the front cleaned up and cut off the body mounts from the frame. I have the main hoop tack welded in and now working on the top hoop and front down bars. 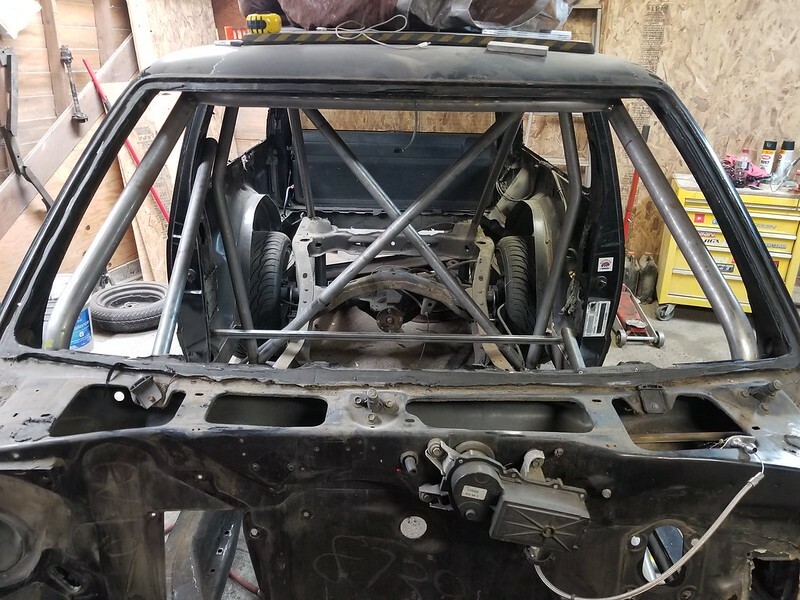 After the foundation of the cage is in going to make my new body mounts and get the engine back in to finish seat braces. howd you do the brake swap from the silverado? Sorry I forgot to answer your question. I bought the mcgaughys big brake kit before they discontinued them. Looks like 2" drop spindles cut off with some brackets made to bolt to them and the calipers. It is a nice kit and wonder why they stopped selling them. Sorry no updates in a while was really sick and also work a lot. Here is where I left off today. The main hoop and top hoop and front down bars are all in and welded. Now figuring out placement for the rest of the cage and figured out I am going to need more DOM tubing to finish it how I want it. 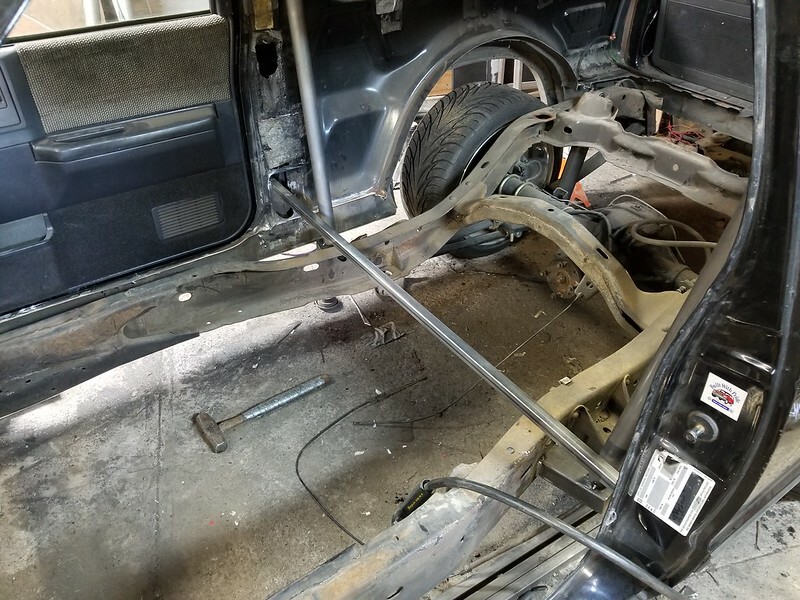 According to GCR rules they don't require but suggest two front dash bars so need a piece for that and also want to do a x on the rear down bars to try to rigid up the back as much as possible. Shes comin along... looking good. Nice work!